LITKO releases Large Size Custom Token sets. Now you can make your own tokens up to one inch in size (25mm). 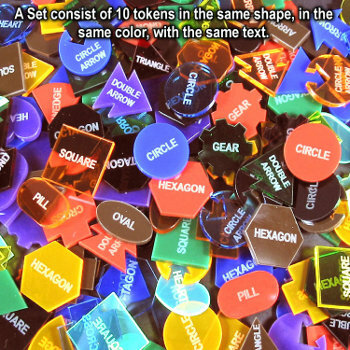 There are 15 shapes, and 19 colors to choose from and you can have up to 12 characters of text on each token. Sold in sets of ten, with each token in the set identical to the others. ($9.99) Visit www.litko.net for more information.